When the sun goes down in Bossier, the music comes to life. From small to large venues, music lovers will find a live music bonanza almost every night of the week in Bossier City and the surrounding parish. The largest venue is the CenturyLink Center. From big-name musical acts to family friendly shows, the CenturyLink Center is a great start for big-time musical entertainment. CenturyLink Center’s lineup of upcoming performers include Tim McGraw and Faith Hill on June 26, 2018 and Pink on March 16, 2019. Another favorite of live music fans in Bossier is The Stage at Silver Star Smokehouse. The Stage routinely hosts a variety of well-known music acts like Pat Green, Ted Nugent, Josh Abbott, Jana Kramer and Neil McCoy. Among its amenities, The Stage features a second level VIP lounge and private cabanas. And if you want to fill your stomach before the show, Silver Star Smokehouse offers some of the best barbecue in town. But live music in Bossier is not limited to just big name acts. Emily Petzold is a singer who performs often around Bossier City with a variety of local musicians and bands, including Dirty Moses and the Burning Bushes, Melrose, and ten-piece band Earshot Grafitti. Emily and her husband Terry moved to Bossier City from Arizona in 2006. One of the places Emily often sings is 2Johns Steak and Seafood on Airline Drive. 2Johns has hosted live music in their piano bar every night since they opened in August of 2009. Owner John Montelepre, Jr. decided early on he would treat live music as an investment, not an expense. For many performers like Emily, becoming a working entertainer in Bossier City was not something she set out to do. With the prevalence of music-friendly venues, Bossier has become a magnet of sorts for anyone willing to step on stage and perform. Some of the other venues Emily performs at include the River City Grille on Benton Road, Daq’s on Old Minden Road and the Flying Heart Brewing & Pub in downtown Bossier City. Bossier’s four river casinos are also a hotbed for live music. 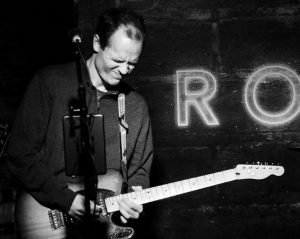 From big names to regional acts, the casinos are consistently showcasing music. At Boomtown you can visit Sundance Cantina, which hosts live music Friday and Saturday 8 p.m. to 12 a.m. The Agave Bar at DiamondJacks has live music Thursday from 6-10 p.m., and Friday and Saturday 8 p.m. to 12 a.m. For big band enthusiasts, Margaritaville hosts the rocking Big Band Tuesdays with the Bill Causey Orchestra in the Paradise Theater. At Horseshoe, you can hear live music at the Whiskey Roadhouse Bar. The night time is not the only time to find live music in Bossier. The Benton Farmers’ Market has live music at their weekly event now through July 15. You can catch their live music on Sunday afternoons from 1-4 p.m. 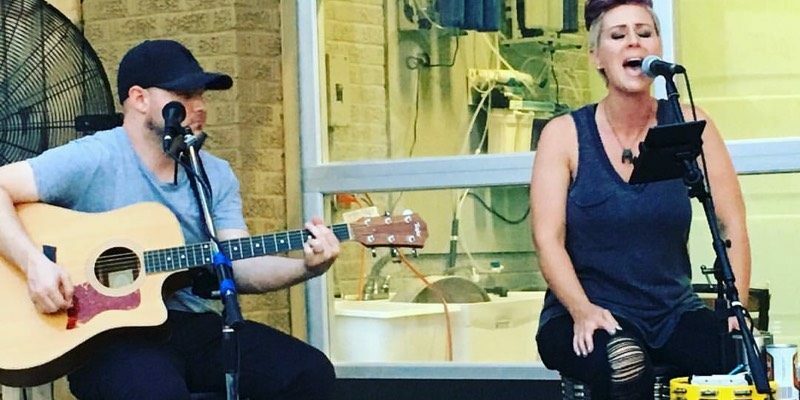 The farmers’ market recently hosted American Idol contestant Garrett Jacobs. The market features produce from local farmers as well as artisans of all kinds. When it comes to the Bossier music scene, constant growth is the theme. Flying Heart Brewing in downtown Bossier recently began hosting a night of dueling pianos featuring Queen Anne’s Revenge. 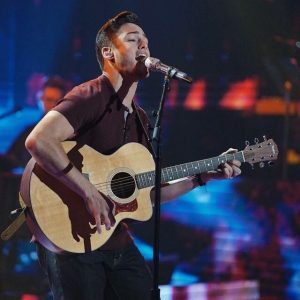 And as another testament to the depth and growing talent of its live music scene, Bossier has even produced top contestants on both The Voice and American Idol. For Emily, this comes as no surprise. 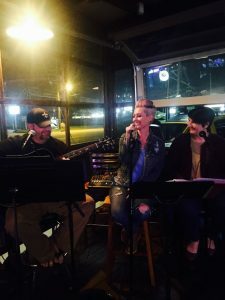 Want to grab a bite to eat before enjoying live music in Bossier? Check out our blog on restaurants in Bossier with the best patios.